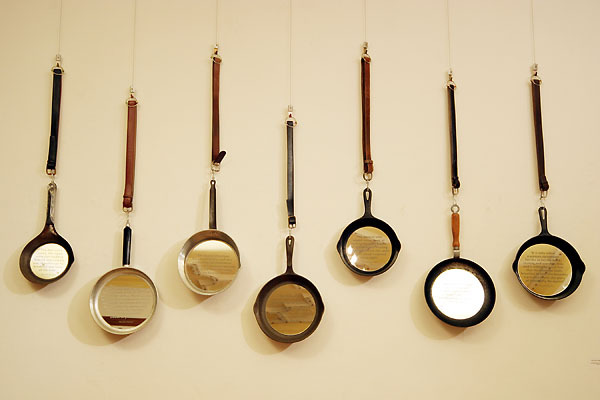 Seven frying pans are hung from men’s belts. Text from The Total Woman, written by Marabel Morgan in 1970 as a response to the feminist movement, is sandblasted into round mirrors stuck in the pan. As viewers read the text, they will see themselves in the mirrors. I ask them to take a look at how much has changed and improved as a result of feminism, and to consider how much remains the same within the male/female relationship.